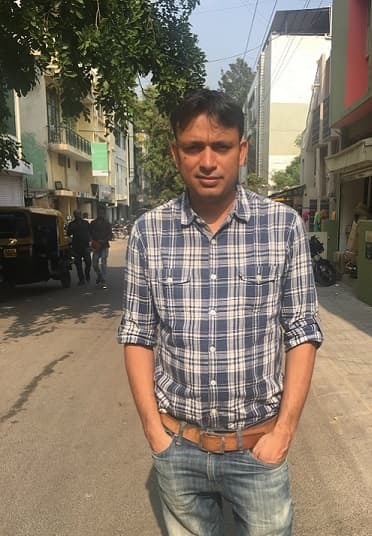 Ajit Paigrahi grew up in a middle-class family with both his parents working Government jobs and was sent to boarding school at a very young age. At boarding school, he had to be self-driven and accountable for his decision, two key factors that Ajit believes really helped him become a first-gen entrepreneur. He completed his engineering in IT, and worked with Tata Consultancy Services for four years, following which he completed his MBA in Marketing from one of India's best universities - XLRI, Jamshedpur. He joined HCL as a manager and worked in that position for three years, before finally hanging his corporate shoes to run his own race, JustLikeNew. In an exclusive interview with CrazyEngineers, we got Ajit to talk about how his startup came to life, what novelties they brought, and where they are headed. Read on! CE: How were the HCL and TCS days back then? What was that reason which made your quit and start of your own? Ajit Panigrahi: I joined TCS in S/W development right after B.Tech and 3 yrs later I joined XLRI Jamshedpur for MBA. At some point, I thought I could do more than what I was doing and I can have a much larger impact on the organization and that's why I felt the need for an MBA. Post MBA I joined HCL Technologies in the strategy function and had a great learning experience. I always had the desire to build something on my own and that's why I quit HCL in 2015 and started JustLikeNew.in. CE: When did you first think about the idea behind JustLikeNew? Ajit Panigrahi: I discussed the idea with my co-founder Rahul towards end 2014 and mid-2015 is when we formally quit our jobs and started JustLikeNew.in. CE: You might have come across websites that are offering similar services, so what made you think JustLikeNew could stand out from the crowd? Ajit Panigrahi: We have changed the game completely in this category. We were the pioneers in organized electronic-devices-repair space. There were just a couple of websites back then who relied on call-backs and web-forms to generate leads and provided service. We decided to productize the services. And that's why we listed over 10000+ services as products with transparent pricing and clear attributes and value proposition on our platform. This was a disruption since traditionally pricing was considered the biggest differentiator whereas for us service experience is the differentiator. In fact, we are now benchmarked by almost everyone else in this category when it comes to pricing and service standardization. CE: Tell us all about the challenges you faced in the initial days? Lack of trust in handling a high-value smartphone for repair to the pickup guy. Concerns related to data security. We have been able to overcome this by building a strong brand, e.g. currently we have nearly 2 Lac followers on Facebook. This gives a lot of trust to the customer. Also, we have implemented a lot of IT to safeguard customers data during repair. All our repairs are carried out under strict CCTV surveillance and every person who handles the device is logged into the system so that we can easily trace the device journey. We are also about to launch a customer facing app which will allow the user to encrypt important data on his phone. We will also provide free cloud backup of 1 GB to the user so that he can backup his important data before giving us the device. CE: Could you explain JustLikeNew to our readers? Ajit Panigrahi: JustLikeNew is India’s first omnichannel, branded smartphone service network. Currently, we are operational in Bangalore & Hyderabad.We provide smartphone/tablet repair services for all major brands. 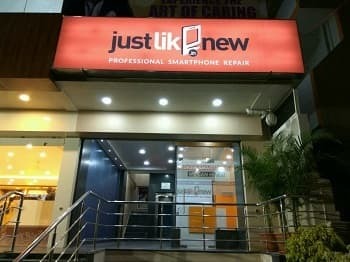 The user can avail our services by logging in to our website www.justlikenew.in or simply walking into any of our nearest repair stores for a quick & hassle-free repair service. CE: Can you talk about revenue model for JustLikeNew? Ajit Panigrahi: Being a services business our revenue model is directly billing users for the services rendered. Our pricing is very transparent and competitive. Typically we are 20-40% cheaper than a brand authorized service center while still giving a better service experience and post repair warranty. CE: What is in store for JustLikeNew in coming years? 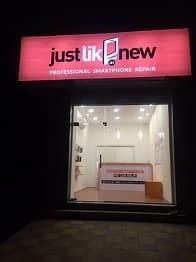 Ajit Panigrahi: In the coming years we see justlikenew becoming even a stronger brand which people can relate to and rely on for all their electronic repair services requirements. We plan to enter few more geographies while also expanding our physical retail footprint in the existing and new cities. CE: What is the biggest learning you have acquired while running JustLikeNew as an entrepreneur? Ajit Panigrahi: The biggest learning I had running JustLikeNew is being resilient and moving on. Entrepreneurship is more than often a long tiring journey with huge setbacks and small achievements. As an entrepreneur, you need to always keep evaluating your journey and actions while learning from the setbacks and celebrating every small win or success. Just by being there in the game and continuously inching towards your goal often opens up new doors and opportunities which you had never planned. CE: What is your definition of success? Ajit Panigrahi: My definition of success is to build a profitable organization which is delivering immense value to customers at a scale. CE: How big is JustLikeNew team right now? Where is the JustLikeNew office located? Ajit Panigrahi: Justlikenew team is of 70 people right now. We are growing aggressively and hiring new talents across functions every day. Our offices are located in Domlur, Bangalore and Abids, Hyderabad. Our customer walk-in stores are in Sarjapur-Bangalore, Gachibowli-Hyderabad and many other locations. Ajit Panigrahi: I would like to tell you what's driving me on this journey - When you are old you will never regret the good or bad things you have done, what you will regret more is what you have NOT done but you could have. So go that extra mile, take that risk, go and propose to the girl you like since years, and go start the business you have been dreaming about. However, you need to be prepared for the consequences if it works out / or does not work out. Just one word of caution- there is a fine line between being brave and being foolish and you have to always tread this line carefully. Go with your gut.